The Wall Of Glass singer has been confirmed to top the bill at the Spanish festival. After playing an epic solo set at Benicàssim 2017, Liam Gallagher will return to headline the festival this year. 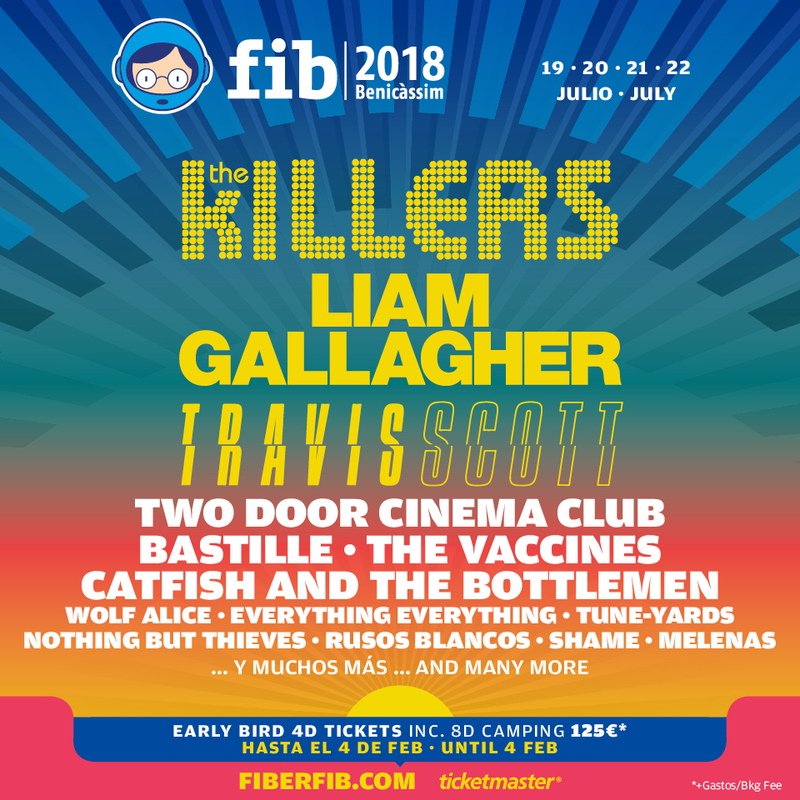 The former Oasis rocker has been confirmed for the Spanish festival, which takes place from 19-22 July, alongside US rapper Travis Scott. They join previously announced headliners The Killers, who will showcase their Wonderful Wonderful album. Also added to the bill today are Two Door Cinema Club, The Vaccines, Catfish And The Bottlemen, World Alice and more. Meanwhile, Liam Gallagher is set to play Finsbury Park on Friday 29 June, and has teased a "biblical brother" for his support act. Despite keeping tight lipped about it, fans have begun to speculate that Richard Ashcroft could act as support. Just this month Liam waded in to defend the These People singer after his brother Noel suggested he didn't write his own songs. Ashcroft previously didn't seem to take sides between the warring brothers, but after getting wind of the interview, it's probably fair to assume he's team Liam. Find out who else could open for Liam here.